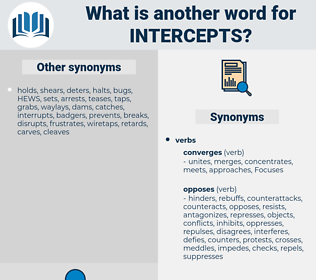 What is another word for intercepts? 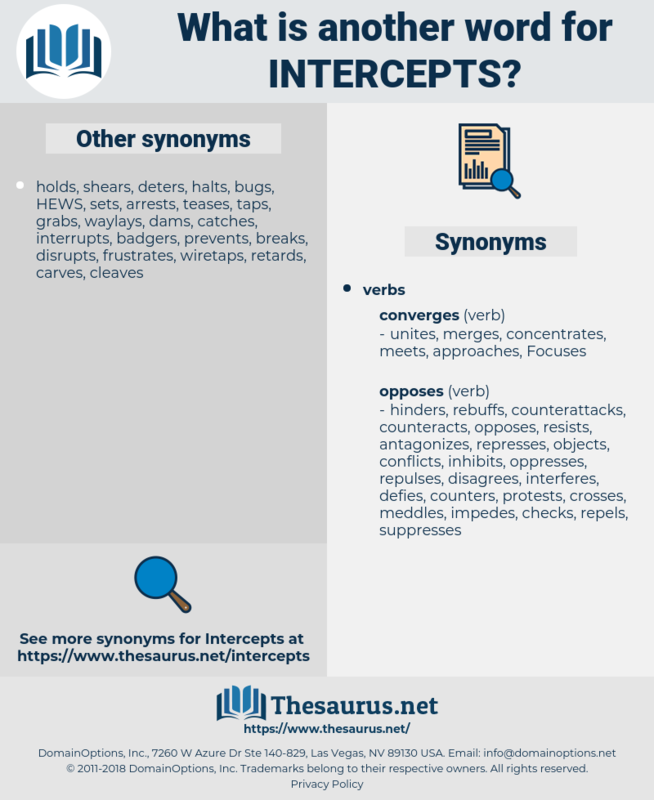 interdictions, ciphers, prompts, conversations, crossings, couriers, objections, Traps, utterances, postings, Seizures, tapping, protests, Emails, e-mails, commercials, junctions, messages, spots, announcements, PSAS, calls, ADS. resists, confronts, obstructs, hindering, hinders, rebuffs, Addresses, refuses, opposes, Faces, combats, objects, deals, protests.